So with my summer now fully planned, which includes three – two week trips planned with a day or so turn in between the challenge is now all about packing and how I want to travel on each of my three trips as they’re so different! As you know I’m a big believer in the theory that when you’re planning on a trip, you put all of the items you’d like to take out on the bed, but then take half! Given that its the summer and its going to be nice and hot in Israel, Italy and Eastern Europe no need to take warm or woolly clothes…thank goodness! However, after seven weeks of wearing the same clothes (yes, of course I’m going to wash them when I’m on the road) I’m sure I’ll get pretty tired of them by the end. I’ll definitely change it up between trips, but the bigger issue is the type of bag I’ll take and how much camera gear i can live with or in some cases live without. Clearly, not as light as I’d like to travel, although a big part of me only wants to take carry on, however then I’d then be struggling to work out how to carry any camera equipment. So this trip looks like the Patagonia roller-bag + hard body camera roller. Israel also brings other challenges, having a home base in Jerusalem for four days then ten days in Tel Aviv where I’m staying in a hotel on the beach. If you’ve been to Tel Aviv then you’ll know that its the equivalent of the Los Angeles of the Middle East. Incredible night life, lots of celebrities who like to party and gorgeous white sandy beaches plus a bit of a surf culture to boot. Sami’s games are all in Haifa so it’ll be an 1.5 hours by train each way, however with three pool games, a semi final and if they’re lucky enough the final that’s still only traveling up to Haifa every other day so lots of free time. Lots of day trips I want to make – Jaffa, Caesarea, Be’er Shiva and if time permits slip across the border into Jordan to visit Petra and the ancient city carved into the mountain. With ten days to spare between my trip to Israel and Zach’s graduation present backpacking Eastern Europe I had time on my hands… So with plenty of airline points and a penchant for Italy it was the easiest travel decision I’ve ever made! 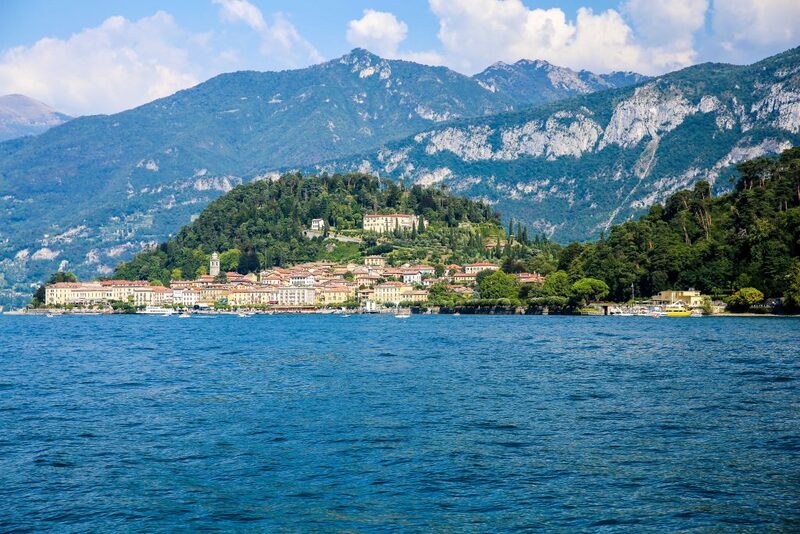 As you’d imagine I’m staying on Lake Como at my favorite place in this part of the world – San Giovanni di Bellagio. A mere 2km from the hustle and bustle of Bellagio and far enough away to slow down and relax with virtually no tourists and a slow boat anywhere along the lake. A week by the lake will provide me with a well earned rest and an opportunity to recharge my batteries before hitting the road with Zach… I know, like I need another restful week??? Ha! This week is all about me breathing in one of my favorite places in Italy and just getting lost in the beauty, culture and a little la dolce vita! Now for this adventure it’s definitely carry on only, I’ll also take my small backpack so I can squeeze a camera body and a couple of lens’ in along with a tripod. This week will be all about traveling light! After a fabulous eight days in Italy its back home to do some wash, mow the grass, collect the mail and re-pack before our 16 day adventure in Eastern Europe. Our mode of travel is going to be by train,. so we purchased Eurail passes for the two weeks. I must admit I was a little shocked that Zach and my ticket for two weeks cost approximately the same as my year long pass did in 1984/85. Instead of hostels, we decided on booking AirBnB’s for our adventure, but backpacking we are. I got Zach a Deuter backpack for his 18th birthday in February, this gave him a chance to pack it and bring it on our trip to Iceland at March break. I though it was important to start getting acclimatized to traveling with a backpack early, in fact he’s in Montreal this weekend and likely taking it with him there as well. I have two Deuter backpacks, they are literally indestructible! In fact, I used a Deuter when I hiked across Papua New Guinea back in 2011 and loved how well build it was, and how easy it was to carry. Yes, even on those soaring mountains it was comfortable and well balanced. I’m also planning on taking a small day pack, and much the same as in Italy just enough room for my camera and maybe a lens’ or two. I’m getting excited for adventure to unfold and am feeling quite nostalgic about backpacking Europe again, but best of all it’ll be with Zach. Impossible to reconcile that it’ll be 33 years since I did it last like this. Who would of guessed that I’d be having a similar experience and adventure with my son all these years later – I feel truly blessed! It’s going to be the best summer ever – stay tuned for a ton of photos from my adventures. 0 Comments on "Gearing up!"